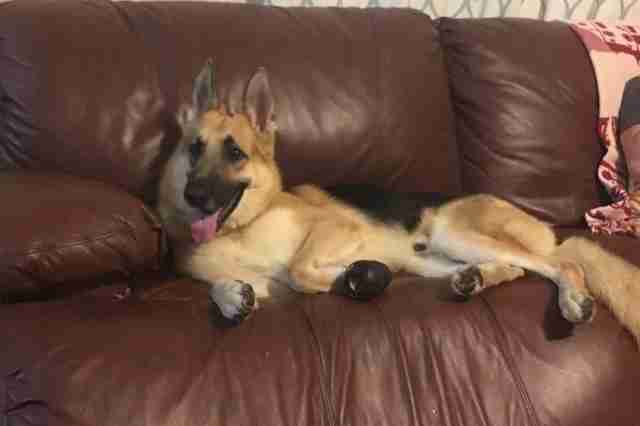 The DeLuca family only recently rescued this 2-year-old German shepherd named Haus, but it didn't take long for him to return the favor. 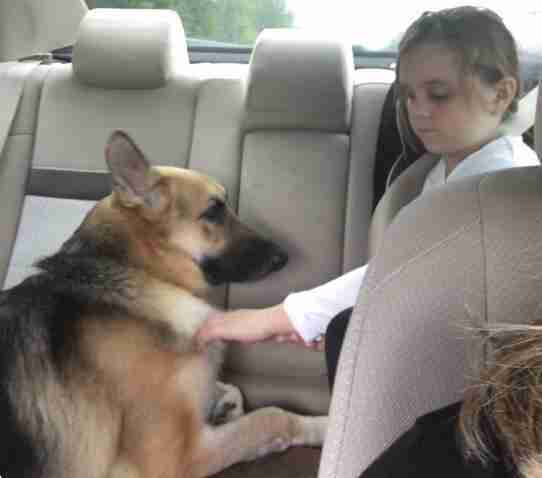 In fact, his heroism may very well have saved the life of his favorite little girl. On Wednesday, Haus was with 7-year-old Molly in the backyard of the family's Florida home when the pair encountered a large rattlesnake poised to strike. Evidently realizing the danger, the dog quickly placed himself between Molly and the threat, even though that meant bearing the brunt of the snake's attack. "Haus stood his ground, protecting my daughter and was bitten three times before the snake slithered away," mother Donya wrote on Facebook. "Molly is fine, just shaken up and upset." For Haus, however, the fight was far from over. 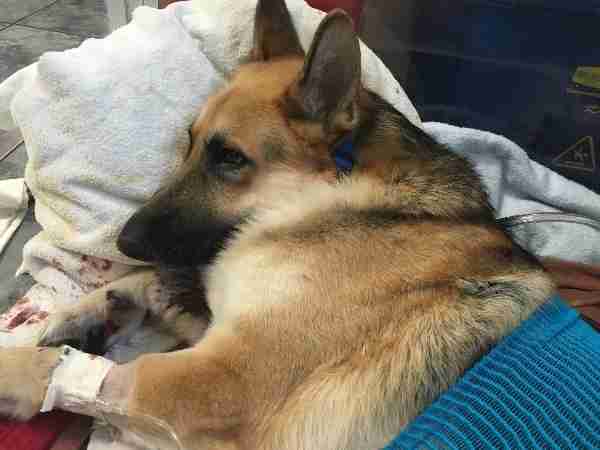 The venom from the multiple bites left Haus in urgent need of medical care, so his family rushed him to the Connechusett Animal Hospital for treatment. Even with a treatment of expensive antivenom, the dog's survival wasn't certain - but Haus isn't giving up. "He can now stand up; he whines for water. His swelling in his leg has reduced. We are moving in the right direction. They are very hopeful. The care we are receiving is incredible." We're rooting for you, Haus. The cost of treatment to keep Haus alive has already reached $10,000 and is expected to climb even higher. Friends of the DeLuca family have set up a GoFundMe page for folks who would like to donate toward his care.